SS Southern Foam was a steel whaling ship built at the Smith Dock Company in Middlesbrough, Yorkshire, England in 1926 for the Southern Whaling & Sealing Company, Liverpool, England. It hunted whales for more than 10 years based at South Georgia Island in the southern Atlantic. In 1940, it was requisitioned by the Royal Navy to serve as a minesweeper in World War II. It joined the 104th Minesweeping Group, based in Dundee, Scotland and later in North Shields, England. After the war, it returned to whaling with the South Georgia Company, and hunted the ocean near Antarctica for half the year and in southern Labrador for the other half. 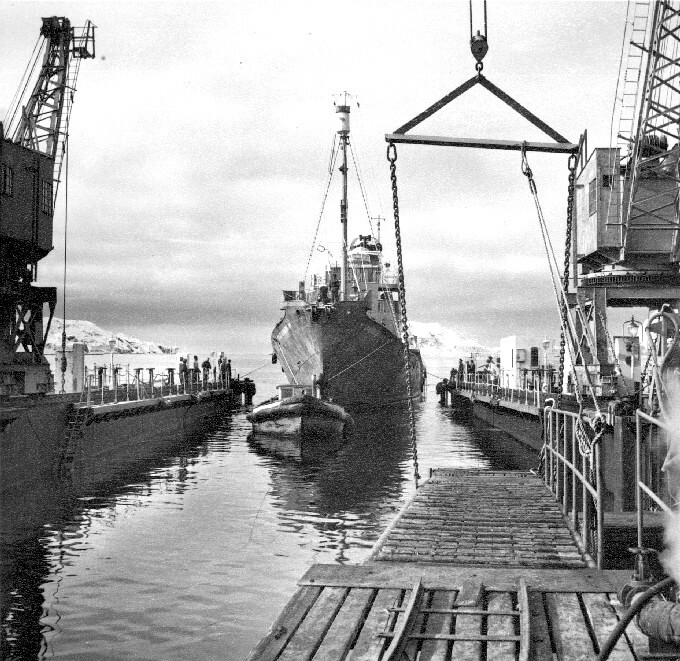 In 1956, Southern Foam was sold to the Hawke Harbour Whaling Company (owned by Johan Borgen) and it remained catching whales in southern Labrador. The Hawke Harbour whaling station burned down in 1959 and Southern Foam ended up in Conception Harbour, where it was berthed during the 1960s. Between 1968 and 1970, the Southern Foam broke its moorings and sank beside the wharf in Conception Harbour, where it remains today. 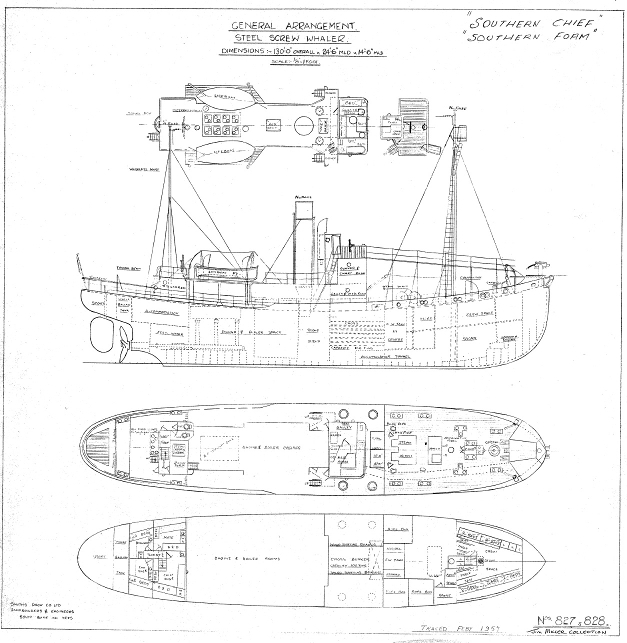 In 2013, the Shipwreck Preservation Society surveyed the three whaling shipwrecks in Conception Harbour and identified this ship as Southern Foam. This wreck is underwater and not visible from shore. It lies just behind the wreck of Charcot, which is partially above water.